Only one tenth of an inch in diameter, the B6 is the smallest lavalier in the world and outperforms microphones many times its size. The changeable protective caps provide moisture resistance and color options and let you shape the frequency response for different situations or to match other microphones. 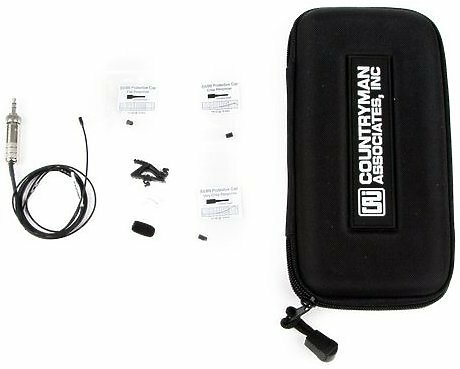 The B6 lavalier microphone is outfitted with specified connector and supplied with a windscreen, set of three protective caps, set of two tie clips (black and white), and carrying case. Comes is six colors to blend with clothing and skin tones. Easily hides in plain sight by swapping colored caps to match button hole, sweater weave or skin tone. Use a felt-tip marker to color the white caps to get an exceptional match. Only one tenth of an inch in diameter. The changeable protective caps provide moisture resistance and color options.